Why let a good window go to waste? 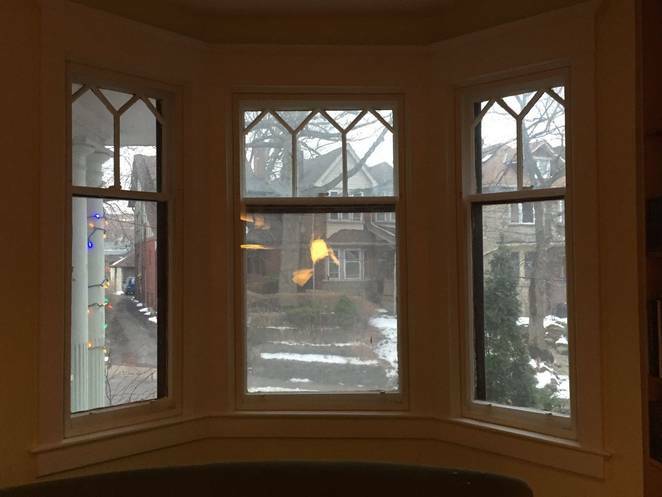 If you’re dealing with poorly-insulated single pane windows, the answer may seem obvious, especially if you’ve recently seen a spike in your heating bills. Double paned windows vastly outperform their single pane counterparts for energy efficiency and sound reduction. According to the Department of Energy, an ENERGY-STAR rated double pane window may save homeowners almost $500 a year in energy expenses when it goes in the place of a single pane unit. But it’s not always cost-effective to replace all the windows in your home, particularly if the frames are still in good shape and are not very old. In this case, it is possible to convert single pane windows to double glazing. Retrofit double glazing, usually made out of PVC or acrylic laminate, is applied to your existing single pane windows to effectively turn them into double glazed windows. Another method is through an acrylic insert held into place by magnets. Either way, by retrofitting your windows you can keep the frames you already have, and get some of the benefits of insulated glazing. They fog easily. The energy efficiency of your windows depends not just on the type of window frame and glass, but also on how expertly the window was joined and installed. If you see condensation or fog on your windows, it’s a sure sign that your manufacturer or installer slacked on the job—and your best bet will be to splurge for some new windows that have a reputation for performing well. They’re hard to open or clean. If the windows become stuck or jammed easily, then they’re not really doing their job, are they? You deserve to have windows that you don’t mind opening—and in some cases, stuck windows could be a fire hazard, so if you avoid opening your windows, it’s time for a replacement set. The frames are rotten or warped. Okay, this may seem a little bit obvious, but it still needs to be mentioned because it’s so important. The benefits of double glazing hardly apply to windows with shoddy frames. In fact, unless your frames are in great shape, it’s generally best to go ahead and replace them. The style is outdated. Just like shoulder pads, some styles are never coming back. Homes go through fads just like your wardrobe does, and one of the big functions of windows is to improve your home’s curbside appeal. If you’re unhappy with the look of your windows, it’s better to plan for an eventual replacement than invest in a temporary solution—especially if you think you might put your house back on the market one day. You want better energy performance. While there are many factors that affect window performance, double pane windows have been shown to consistently offer better overall energy savings. Typically, retrofit glazing with laminate doesn’t make quite as drastic a difference, but it does improve the energy efficiency. You really like your existing frames. It’s hard to toss something you love. Retrofit glazing offers a compromise when you have custom, historical, or one-of-a-kind frames that really can’t be replaced all that easily. You’re sure the glass is the problem. Windows may seem simple—but they’re actually full of joints, and inadequate sealing in those places can have a big effect on your home’s energy profile. Additionally, the seal between the window and the wall and even the caulking on the window itself can cause issues as well. 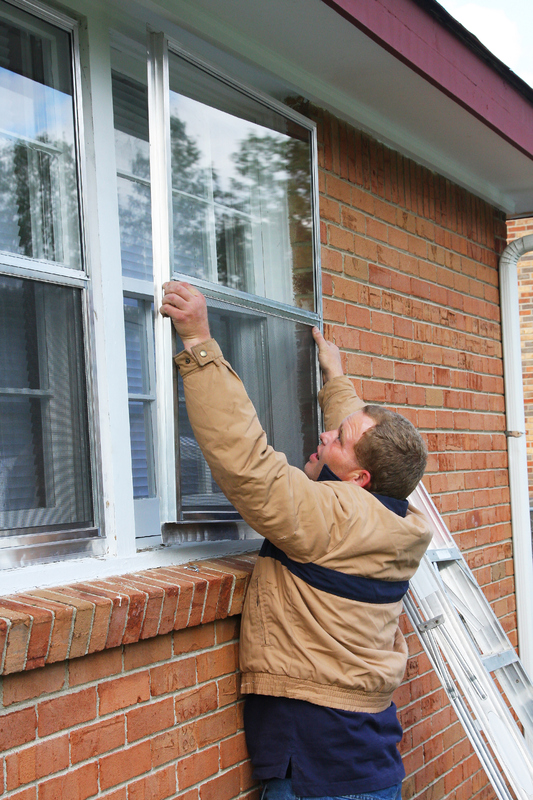 Before you assume that your single windows are to blame for your energy woes, you may want to, at the very least, inspect and replace the caulking around the window seals. Although retrofitting windows offers some cost savings, it may not exactly be the DIY supersaver you’ve dreamed of. Laminate companies typically install retrofit double glazing using their own contractors, so you’ll still have to pay for labor, in most cases. On the other hand, this means you can usually count on the quality of the installation, as opposed to a DIY job. Replacing or retrofitting the glazing aren’t the only options you have to protect your home from the elements. If you don’t want to ditch your existing frames, another idea to consider is installing storm windows over your existing single pane units. Storm windows with energy-efficient features like low-E glazing and triple pane glass offer a savings of 10 to 15 percent, according to a Department of Energy study, so they can certainly improve your home’s energy efficiency. And they’re typically made with PVC inserts, so your home will be extra protected in case of inclement weather. After all, your peace of mind is worth any price!